Fiji retained their status as Pacific Nations Cup Champions last night with a thrilling 39-29 victory over rivals Samoa in an eight-try final at Burnaby’s Swangard Stadium. Two tries from Leone Nakarawa, and individual scores from Nikola Matawalu, Kini Murimurivalu, and Akapusi Qera led the Flying Fijians to their third Pacific Nations title overall, and first since the competition changed its format to finish with one overall winner instead of the two, three-team pool winners. 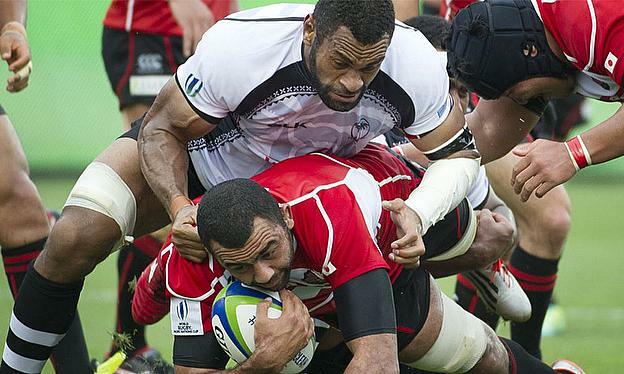 Josh Matavesi and Ben Volavola both added seven points apiece from the kicking tee as Fiji lead Samoa for all but three minutes of the final in Canada. Having raced out to a 17-9 halftime lead behind Nakarawa’s steamrolling run and Matawalu’s quick-thinking after an errant lineout which lead to Fiji’s first two touchdowns, both converted by Matavesi, two close-range tries in eight minutes from Samoa’s Jack Lam and Fa'atoina Autagavaia saw Fiji fall behind for the first time as Manu Samoa gained the ascendancy early in the second half. However a scything nine minutes from Fiji which saw them run in three tries and 19 points pushed them out of reach for good despite a second try from Samoa’s Fa’atonia Autagavaia, and opposing fly-halves Ben Volavola and Michael Stanley trading penalties. Fiji’s unbeaten run to victory in this year’s tournament sees them continue to build momentum ahead of the 2015 World Cup, where they have been drawn alongside heavyweights England, Australia and Wales, adding more credence to the notion that Pool A is this year’s ‘Pool of Death’. And Fijian Captain Akapusi Qera, speaking post-match, was evidently aware of the challenge the Fijians will face in seven weeks’ time.